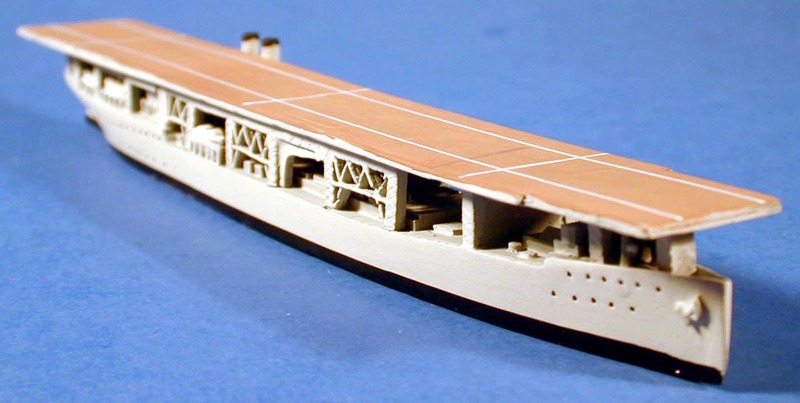 The USS Langley was the first US Aircraft carrier. She was originally built as the Jupiter AC-3. 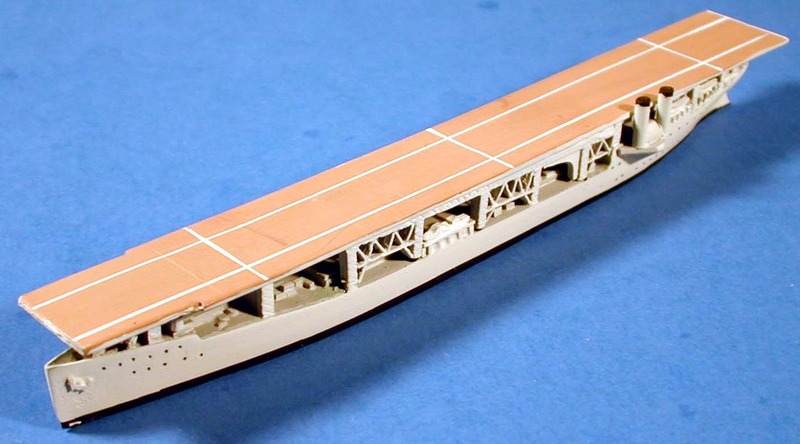 She was converted into an aircraft carrier by adding a full length flight deck. Her purpose was to prove the concept of carrier borne naval aviation and this she did quite well. 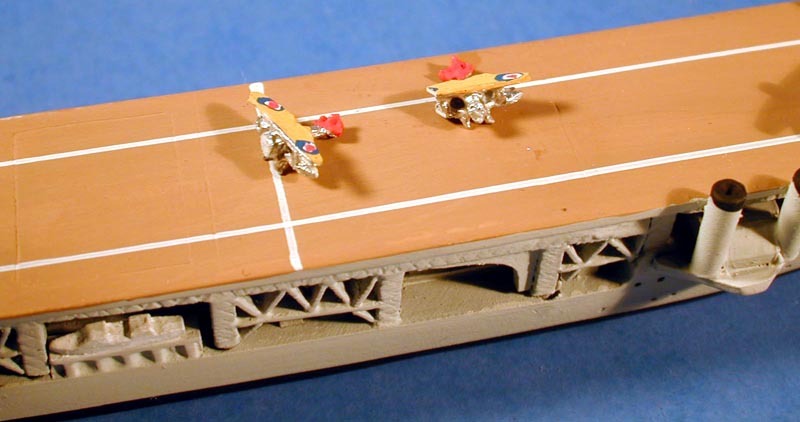 As new carriers were built, she trained pilots for them. She was later reclassified as a Seaplane Tender AC-3 and lost the forward portion of her flight deck. It was in this configuration that she was lost while ferrying planes to Java in early 1942. 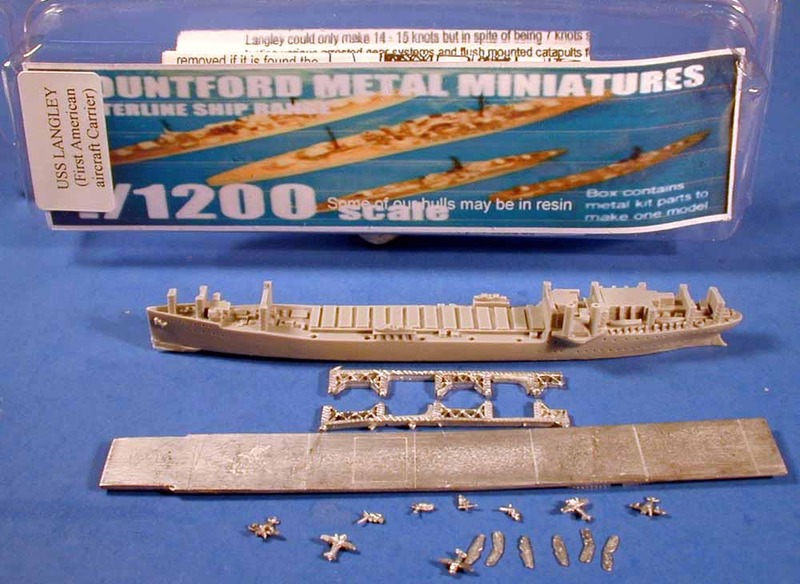 Mountford Metal Miniatures has reproduced this ship in 1/1200 scale in metal and resin in her 1924 configuration. 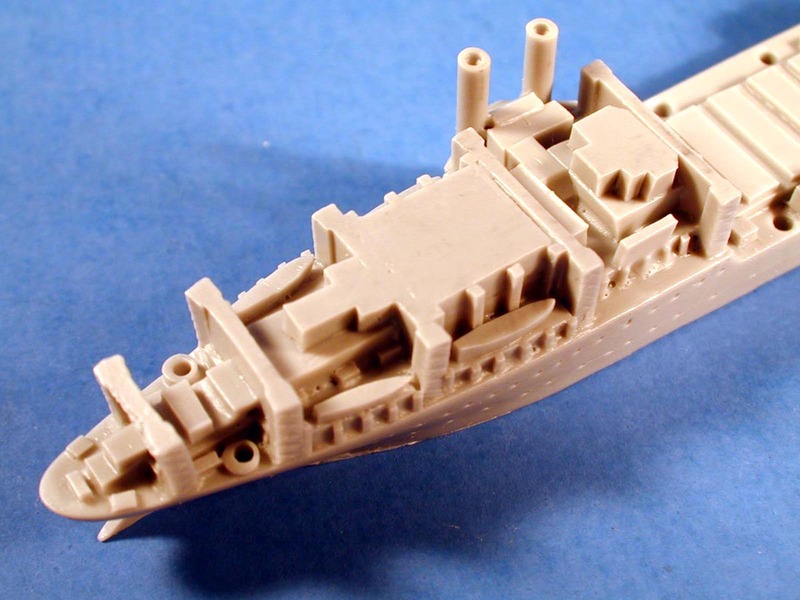 You can buy this ship as a kit or finished depending on your preferences. 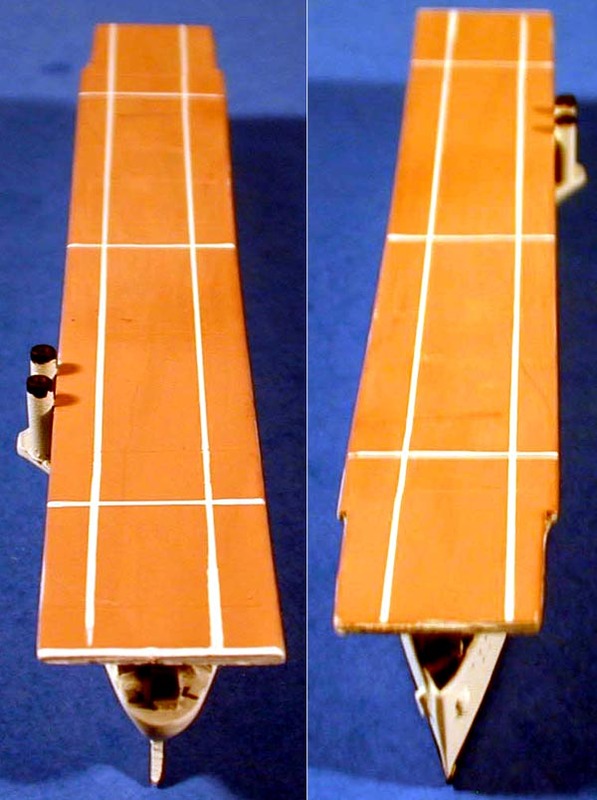 The ship is pre painted with a tan flight deck with deck stripes. The hull is painted light gray, with black boot topping. The ships boats are painted white and overall the finish is pretty good. The ship measures out a bit over scale, but looks pretty much like the photo's available. 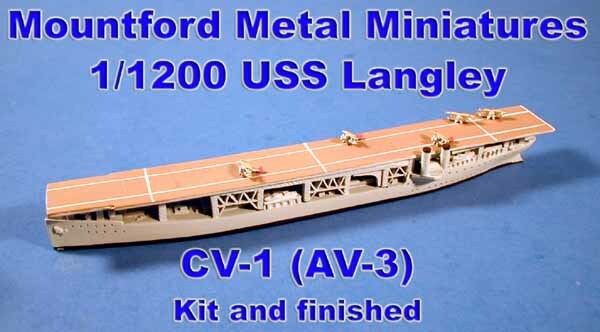 I think the manufacturer has done a good job of capturing the appearance of the Langley. This ship has received some bad press from anonymous sources, and I am no expert. So let the photo's speak for themselves. Overall the kit has a nice appearance. The pre painted aircraft are fairly well done, but I think that I would prefer to do them myself using the Navilis 1/1250 aircraft decals. I would probably just paint over the top wing and apply the early star in circle with the red dot. 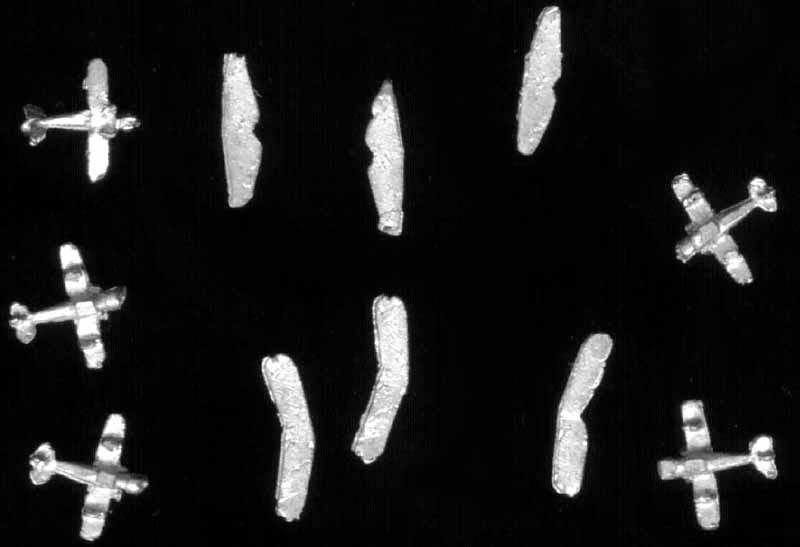 Although I have to admit that from a distance it is hard to discern the detail in this scale. There are some minor issues with this ship, the hull at the waterline has a slight twist to it. This is more noticeable in the unfinished kit (see below) than the finished version. To really tell it you need to turn the kit upside down. That's probably something that most of us wont do. 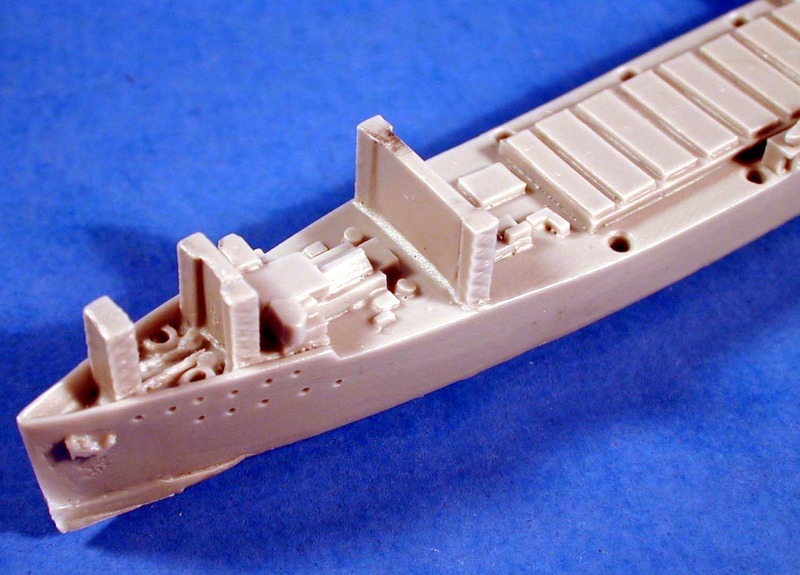 As a kit the hull is cast in resin with everything else in white metal. The hull has a bit of over pour at the bow that will have to be sanded away. Surface detail is pretty good, but some touch up is needed at the bottom of the stern to smooth things out. 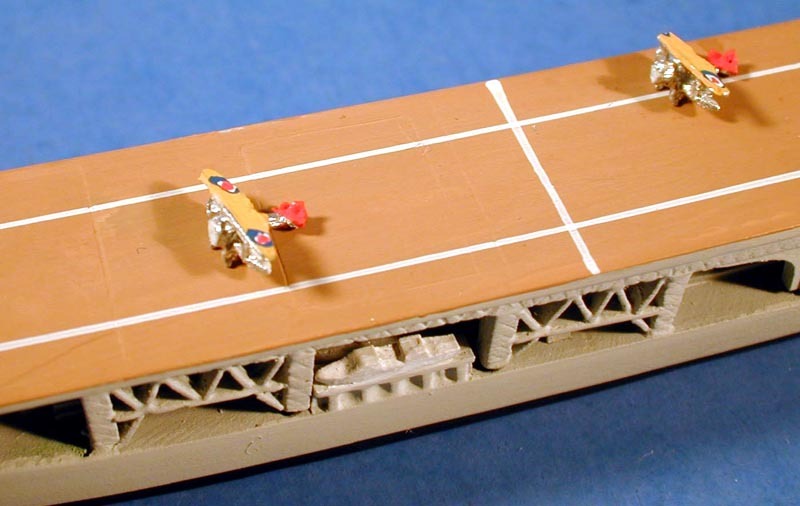 The flight deck supports are cast as one piece with pretty good detail. I test fit these parts and while tight they will fit without modification. If desired you can trim the pins as mentioned in the instructions. 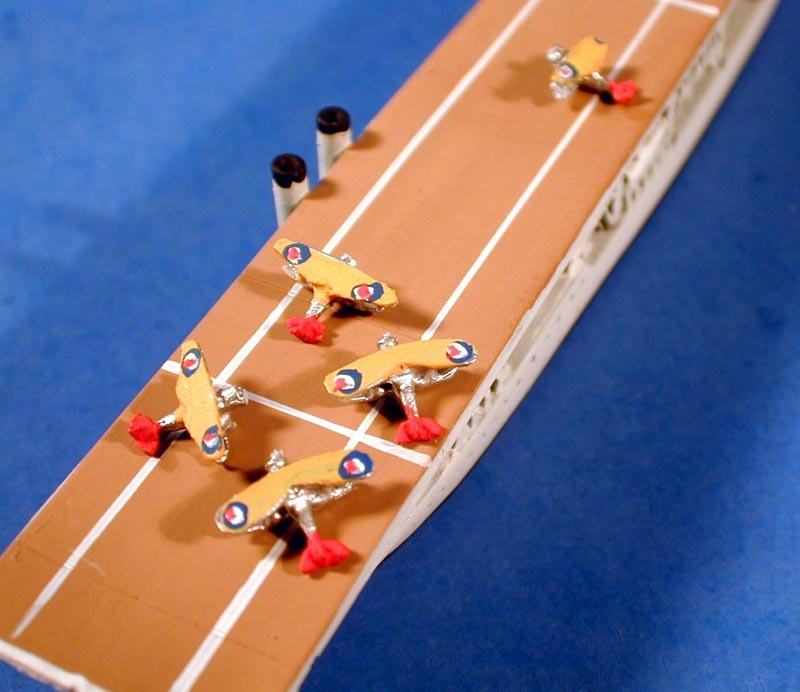 Two types of biplanes are included with separate upper wings. These parts have a bit of flash that should be filed down before assembly. The tail sections are pretty thin so be careful, I broke one of mine while handling it. 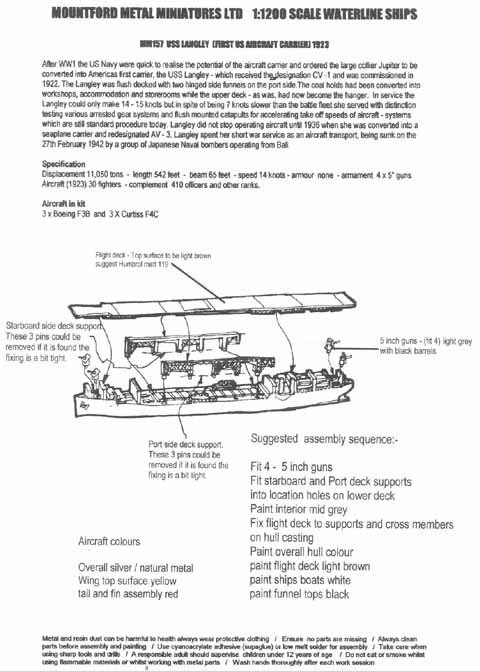 A simple one piece instruction sheet is included with an exploded view and notes. Special thanks to Morning Sunshine Models for the review sample. 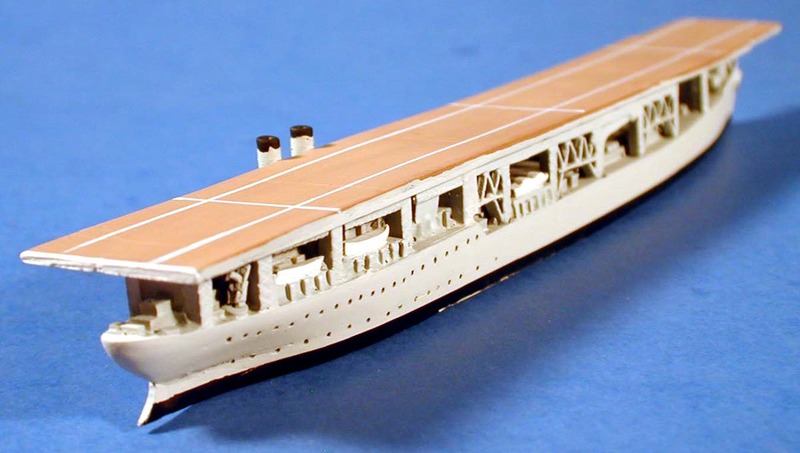 Be sure to check out their complete 1/1250 line of ships on their improved website.